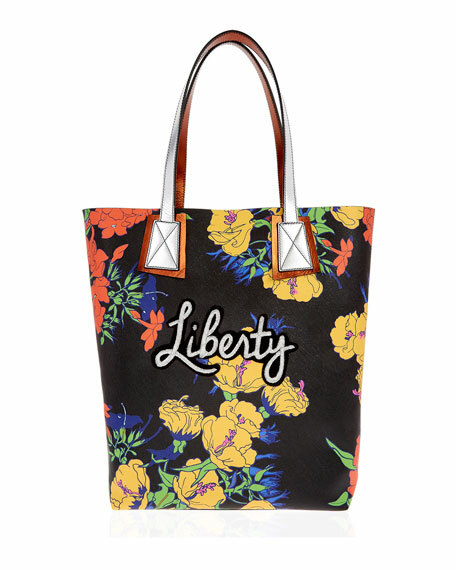 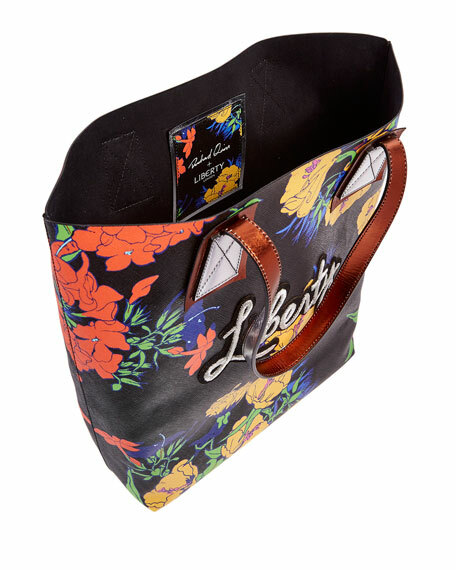 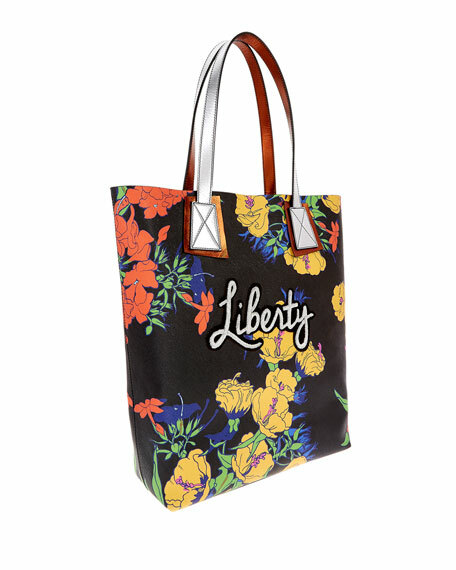 Liberty London linen and canvas tote bag with floral print and leather trim. 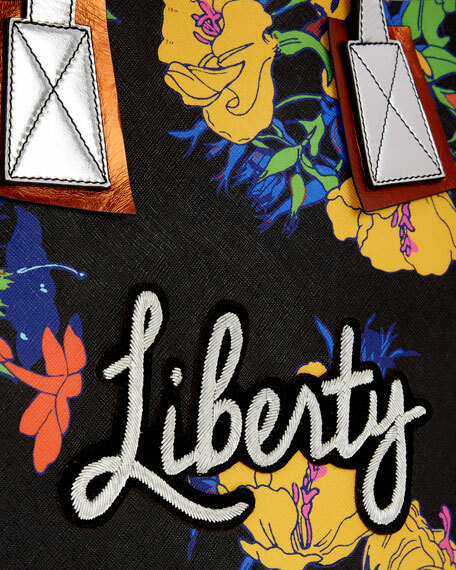 Embroidered "Liberty" text at front. 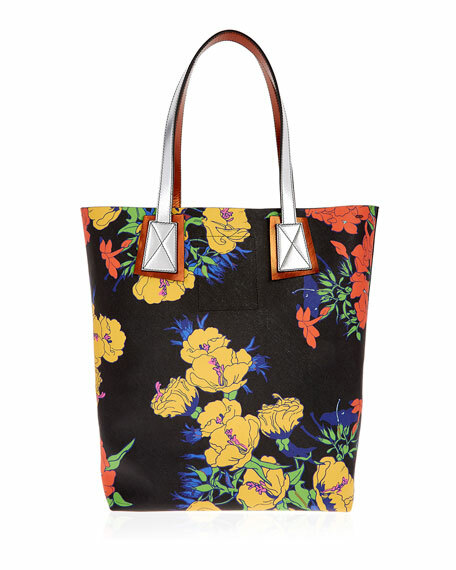 For in-store inquiries, use sku #2658439.